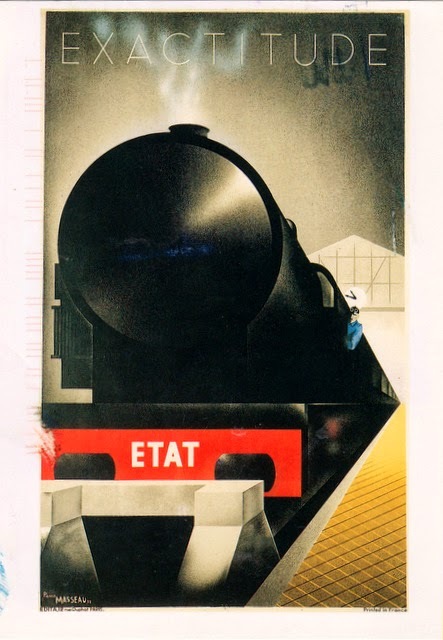 Postcard US-2713420 from Illinois shows a 1932 Art Deco travel poster of train "Exactitude" by French artist Pierre Fix-Masseau (1905-1994). The original poster was a 39.25 inch x 24.25 inch color lithograph, part of the Modernism Collection in Minneapolis Institute of Arts. It was a gift from Norwest Bank Minnesota.